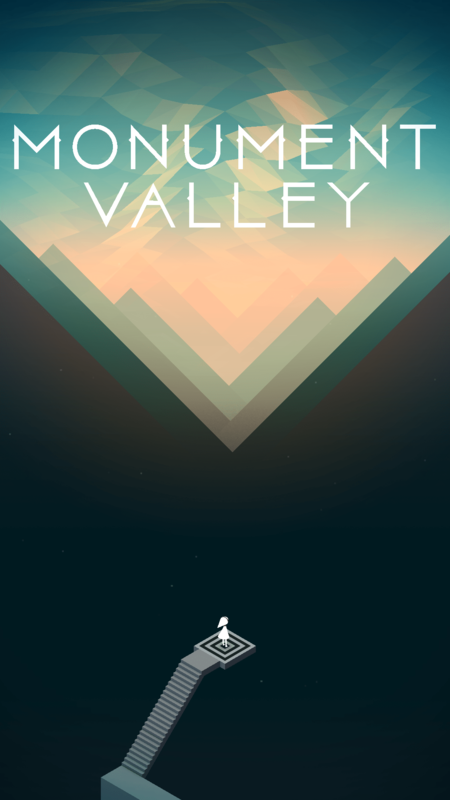 Monument Valley: All We Have is our Geometry. My phone is a pretty boring place, filled with productivity applications that are more focused on work than pleasure. It wasn’t always this way, indeed I used to find all sorts of weird and wonderful titles to play on my phone mostly because I had the time to play through them during the hours I’d spend in transit to work every day. However I simply haven’t had that time to myself any more and so the world of mobile games has passed me by, with likely many good titles falling by the wayside. Today I finally make the return back to the platform and if there are many more titles like Monument Valley I believe I’ll need to make an effort to stay. You are Ida, princess of a realm long forgotten. The world you inhabit is beautiful but barren, bereft of almost any signs of life yet filled with the signs that many have been here before you. Somehow though you can’t help but feel responsible for this and the quest for forgiveness is what keeps pressing you forward. So many questions lay before you, who built this place, where are they now and what led to their apparent downfall? Monument Valley is a fantastic example of minilmalism, combining solid colours, soft gradients and simple lighting effects to great effect. Every puzzle screen has its own unique style to it which means that the game never gets visually boring or confusing. This is complimented by the use of Escher-esque style drawings with impossible structures and non-Euclidean geometry which, whilst also being amazing samples of this style of work, also function as the game’s main puzzle mechanic. 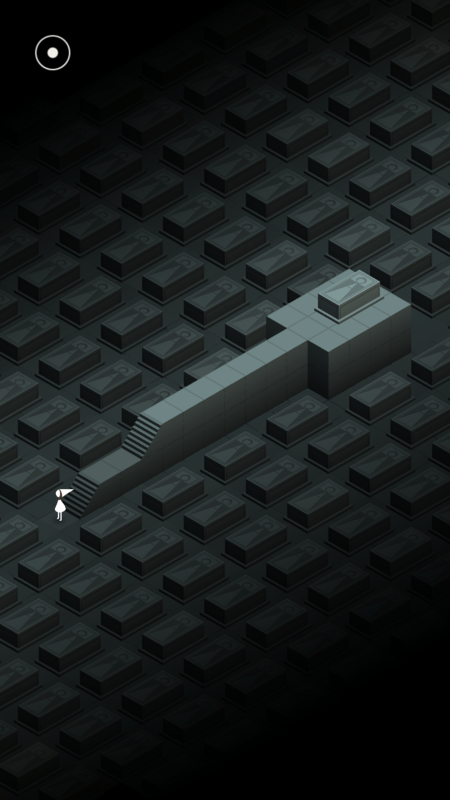 Overall Monument Valley makes a great visual impression, one I’m sure many other games will draw inspiration from. 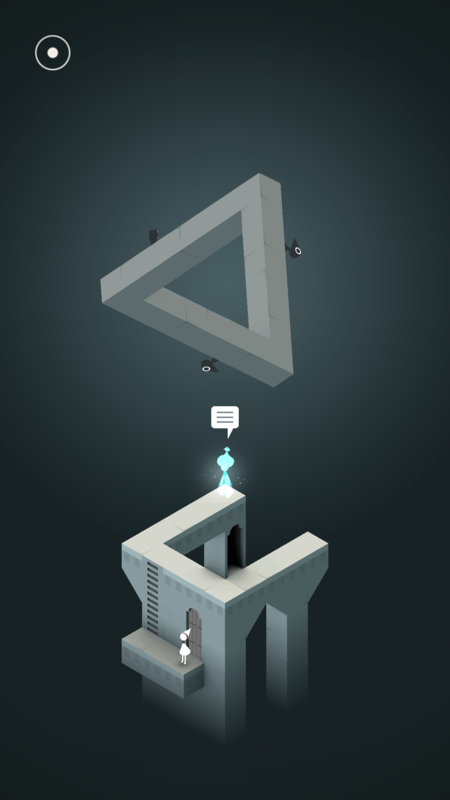 The core game play of Monument Valley is in the style of other non-Euclidean based games like Anitchamber or The Bridge (although it’s much closer to the latter) where you’re required to figure out how the rules of the geometry in your world work. The things start off relatively simple, only requiring you figure out that your perspective is the key, however you’re quickly thrown into the deep end where the world never behaves as you’d initially expect it to. The puzzles are very well laid out however as you’ll often be introduced to the prime mechanic in its most simple form at the start of the puzzle before you’re introduced to a use case that will require some lateral thinking on your part. There’s also a lot of visual red herrings to ensure that the puzzles aren’t too obvious but they’re uncommon enough as to not be overly frustrating. This all culminates in a game that’s an absolute joy to play. The beautiful visual elements combined with the inherently non-intuitive puzzle elements just gave me this feeling of exuberance that few games have. There were so many times I’d be stuck on a puzzle for a few minutes before figuring out the solution which would give me a grin that wouldn’t go away for a long time. Probably by far my favourite puzzle out of the lot was the box as the way it was designed evoked this child like excitement in me every time I opened it in a different way. It speaks volumes to the developer’s ability to create an experience that is as fun as what they’ve created. Monument Valley does suffer from a few usability issues, at least on my Xperia Z. A lot of the touch controls felt like they were either far too sensitive, making me spin the puzzle pieces wildly with little input, or not sensitive enough, leaving me to think that certain pieces couldn’t be moved. I’m willing to admit that this might be a hardware issue rather than something wrong with the game itself however it did make some sections more frustrating than they needed to be. Since I’m on Android though your mileage may vary as I’m sure some more mainstream handsets will function better than my now aging Sony. The story elements are pretty light on in Monument Valley, told only in the snippets before each puzzle and when you find the old lady hiding wherever she is, but it’s enough to elevate the game above other pure puzzlers. 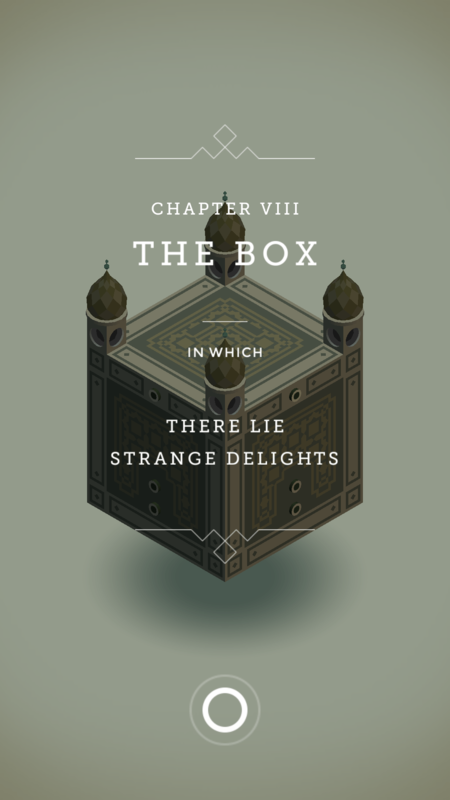 Given Monument Valley’s rather short length it’d be unfair for the story to develop much more than it did but I definitely feel there’s potential for this world to be expanded upon more, possibly with additional puzzles. Needless to say I’d love to see Monument Valley get the full release treatment as I believe the concept still has a lot of legs in it. Monument Valley is a testament to what the mobile platform is capable of creating, combining gorgeous minimalistic graphics with great game mechanics to create an experience that’s up there with many high budget titles. Whilst it falls short in a couple categories, namely it’s overall play time and so-so controls, it makes up for it in spades in almost every other regard. It’s not a game I’d recommend for everyone, indeed any minimalist title is exclusionary by nature, however for lovers of good puzzle games you really can’t go past Monument Valley. Monument Valley is available on Android and iOS right now for $4.99 and $4.99 respectively. Game was played on a Sony Xperia Z with about an hour of total play time.